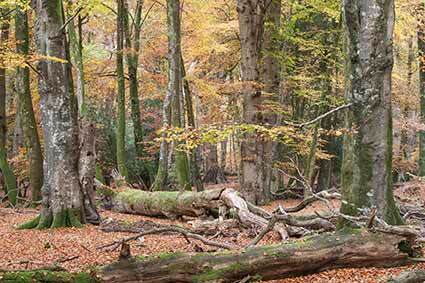 The New Forest’s woodland inclosures cover 84 square kilometres, and are magnificent places to visit. But these are managed woodlands that owe their existence to mans’ desire to grow timber, in some cases, particularly in the early years, for Naval shipbuilding. Some of the inclosures date back to the early 18th century, whilst others are far more recent. In many cases, trees from the original plantings remain, although at least some felling and replanting has often taken place. All the inclosures were set down following successive Acts of Parliament that authorised the creation of permanent places within which trees could be grown. But why were Acts of Parliament needed? Well, natural regeneration could not be relied upon to replace trees cut down or otherwise lost, for grazing and browsing by deer and commoners’ stock prevented significant re-generation. Planting and effective management was, then, essential, but fencing was needed to keep out the animals. The erection of fences was, though, forbidden - the deer were still to have freedom to roam, and commoners’ rights to put out stock had also to be recognised and respected. The solution: Acts of Parliament that specifically authorised enclosure. 2,000 acres were authorised for immediate enclosure and planting, together with the enclosure of a further 200 acres during each of the following twenty years. In the event, though, largely as a result of bad management and other difficulties, only 1,044 acres were initially taken, a further 252 acres in 1752, and 2,000 acres between 1771 and 1778 - 3,296 acres in total. Examples where trees from the original plantings can still be seen include South Bentley, Burley Old and Churchplace Inclosures. 1808 – Act for the Increase and Preservation of Timber……. Despite some ambiguity in the wording, this Act was interpreted as confirming the Inclosures already made, and allowing the enclosure of a further 6,000 acres at a time. Then when the trees were well-grown and the fences removed, equivalent amounts of land elsewhere could be planted and fenced. Just how seriously the Crown at this time viewed the need for timber is illustrated by the penalty imposed for breaking down inclosure fences - transportation for 7 years upon conviction a third time - and also by the way in which the provisions of the Act were enthusiastically used to create new inclosures. Between 1808 and 1817, 5,557 acres had been placed behind fences, and between 1830 and 1848 a further 1,147 acres were taken – 6,704 acres in total. Churchplace, Lodgehill and Ironshill Inclosures, all near Ashurst, are examples of inclosures created using the provisions of this Act. In addition to the lands already enclosed, this Act allowed a further 10,000 acres to be fenced on a rolling basis, but limited the total land behind fences at any one time to 16,000 acres. 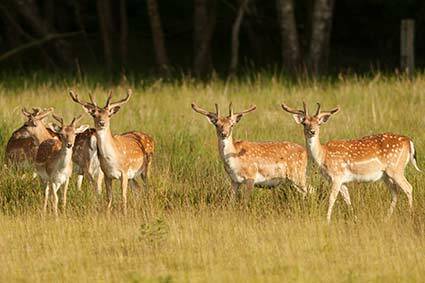 And to recompense the commoners for loss of grazing land, all deer were to be eliminated, which would reduce the competition for animal foodstuffs. 4,000 acres of land were taken within the first 12 months, whilst further inclosures continued to be made until1870, to the extent of around 7,645 acres in total. Following the introduction of ironclad ships, and the reduced need for Navy timber - HMS Warrior, the first iron-hulled, armoured battleship, was built in 1860 – conifers were increasingly planted in many of these inclosures. Perrywood Haseley and Poundhill Inclosure, both near Brockenhurst, are examples of these relatively late inclosures. Following the threat of disafforestation, vigorous opposition resulted in the New Forest Act, 1877, which limited enclosure to the 17,645 acres already taken under the provisions of earlier Acts. The remaining 45,000 acres of Crown common land were to be left permanently unenclosed, open for commoners’ stock to wander and feed at will. So, much to the relief of many local people, this Act, with one exception, finally heralded an end to the creation of new inclosures for more than 70 years. Upon payment of compensation for loss of grazing land, the Verderers were authorised to empower the Forestry Commission to enclose for plantations up to a further 5,000 acres, with the eventual proviso that re-seeded grazing strips would be placed around the edges of the new Inclosures. Known as Verderers’ Inclosures, 2,005 acres were eventually planted, mainly with conifers, and are held on a 150 year lease rather than in perpetuity. Longdown, Dibden and Dunces Arch Inclosures are examples.